Try saying 'Happy Birthday' in a different way this year with our wonderful small birthday cake. 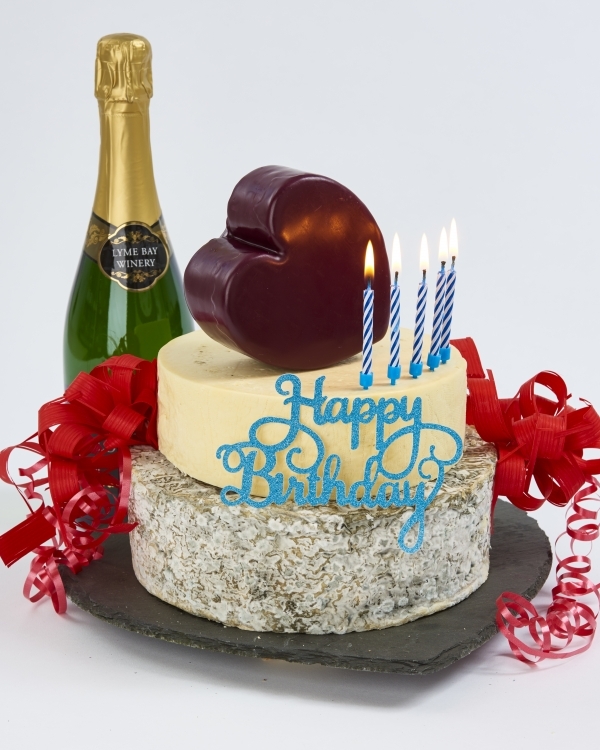 The Monyash cake has been designed to serve between 40 and 50 people with specialiality cheeses to suit all tastebuds. If you would prefer to taste before you buy you can purchase a sample box of all the cheeses that go to make up The Monyash Celebration Cheese Cake.